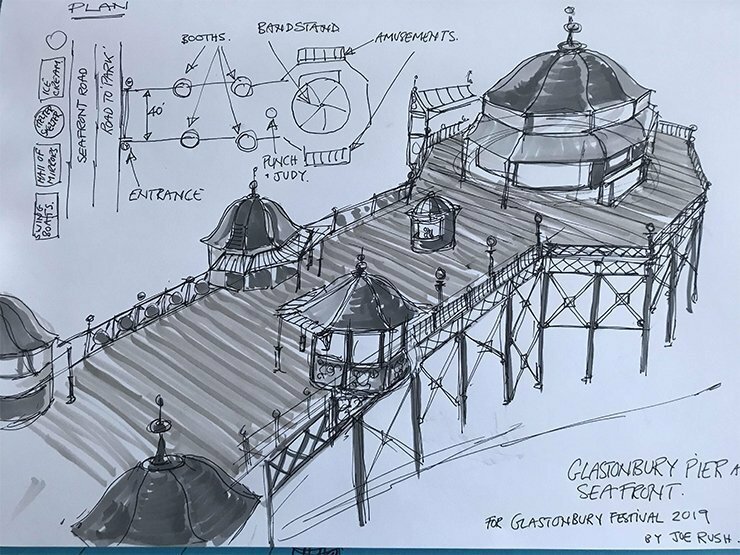 Following previous revelations by Glastonbury Festival founder Michael Eavis that a 60-metre pier is set to be one of the new attractions at Worthy Farm this June – additional details have now emerged of what to expect from the new Victorian seaside pier at Glastonbury 2019. 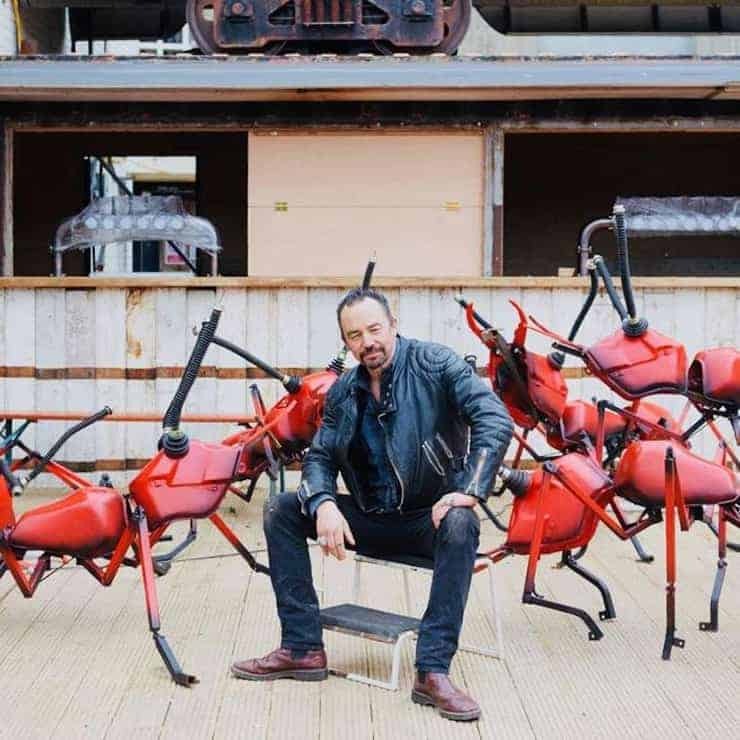 Eavis revealed the unusual attraction as he attended the launch of Joe Rush‘s new solo show, Stories from the Wasteland, at the newly opened Vinegar Yard. Rush, whose elaborate works have previously featured at the festival explained that he will be building “an enormous pier” for this year’s festival, which will be aptly called “Glastonbury on-sea”. At the same event, Eavis revealed the new project is said to resemble a “Victorian pier” and will stretch 60-meters long! Speaking to BristolLive, Rush said: “I approached Michael about the idea during the fallow year,” said the abstract artist, who also creates the imposing sculptures that are fixed at the top of the Pyramid Stage and Other Stage. “He loves seaside attractions and often talks to me about the seaside rides he enjoyed going on as a child. “Growing up in Hastings, I have always had a great love of the seaside too.